After a staff meeting in Germany yesterday, Genting Hong Kong has renamed the group of three shipyards they purchased in Germany last April, gave a clear definition to what they will be focused on, and laid out a course for them for the future. The three yards in Wismar, Rostock and Stralsund will henceforth be known as MV Werften. Costa Asia, in conjunction with Conde Nast, has released a virtual reality video of Costa Fortuna to allow those who have never been on a cruise ship to experience what it is like to cruise. They are distributing it on several popular platforms in China. Last fall we reported that Princess Cruises' Dawn Princess will be transferred to their sister brand P&O Australia next year. P&O has begun to reveal the plans they have to update and customize the ship for their customers Down Under. It's going to be a lot more than measuring for new curtains. 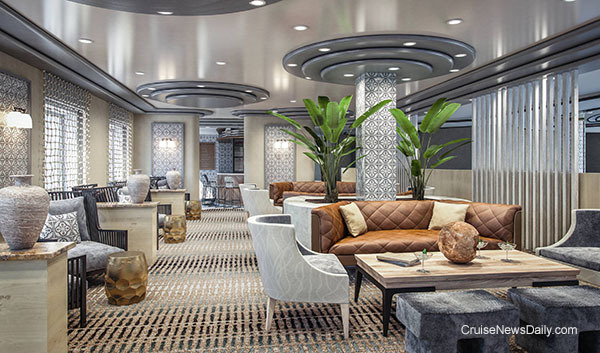 Renderings courtesy of P&O Cruises Australia. All rights reserved. May not be copied or used without permission. 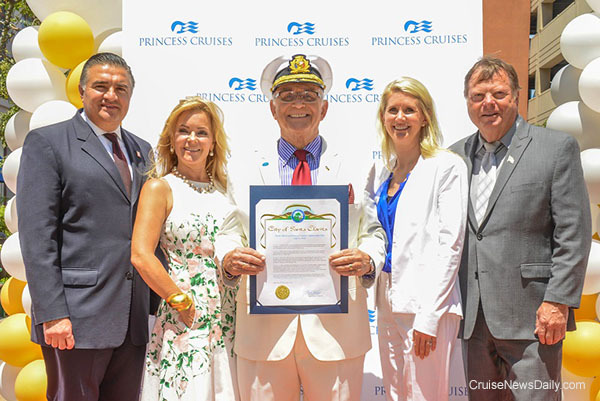 Last week we told you the City of Santa Clarita and Princess Cruises intended to honor Gavin MacLeod by declaring yesterday (Wednesday) "Gavin MacLeod Princess Cruises Ambassador Day" in recognition of his 30 years as Princess Cruises' Global Ambassador. As promised, the event happened at Princess' headquarters and was hosted by Jill Whelan, who played Vicki, Captain Stubing's daughter. She is also Princess' Celebrations Ambassador. The complete story appeared in the July 7 edition of Cruise News Daily. Mayor Pro Tem Dante Acosta, Princess Cruises Celebrations Ambassador Jill Whelan, Princess Cruises President Jan Swartz, and Mayor Bob Kellar celebrated Gavin MacLeod’s 30 years of service at a commemorative ceremony in Santa Clarita, Calif. The perks of life in a suite aboard a Costa ship have just gotten a little perkier with a range of new offerings from the line for their top passengers. Have you heard the one about the Boston cab driver who found more than $187,000 in cash in the back of his cab? He did the right thing, and Royal Caribbean is rewarding him with a cruise. The complete story appeared in the July 6 edition of Cruse News Daily. Earlier MSC told us the first of their new ships with the eye-catching new design will be named MSC Seaside and will be sailing round trip from Miami to the Caribbean beginning in December 2017. The line says the sister ship will be named MSC Seaview and will enter service in June 2018 in the Mediterranean. 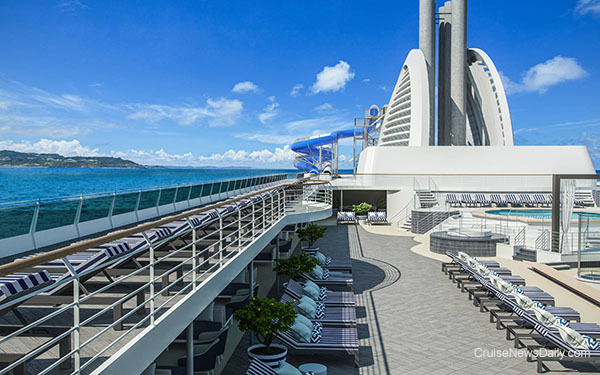 Details appeared in the July 5 edition of Cruise News Daily. Carnival Corp has moved another step closer to getting their ship that they will use in China built in China. 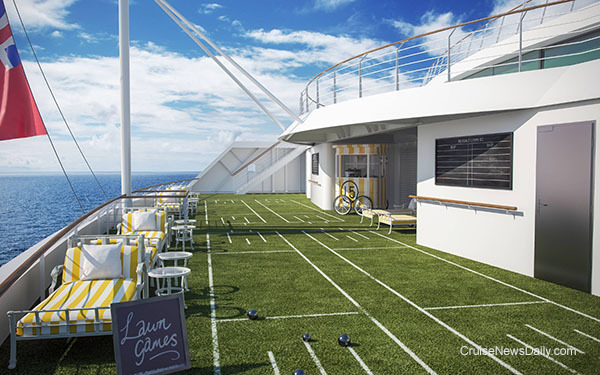 The complete story appeared in the July 5 edition of Cruise News Daily. Fincantieri floated up Silversea's Silver Muse at their Sestri Ponente yard near Genoa on Friday, signaling the completion of most of the outer construction and that work is ready to move forward on the ship's interior.